This is a guest post – Aaron Rudman-Hawkins is the owner and founder of Evergreen SEO, a UK search marketing agency providing a personal SEO service that gets results through hard work and doing things properly. SEO has evolved and Google keeps getting smarter. But one thing is still certain – if you want to rank well in a Google search, authoritative backlinks are an extremely important factor. It’s a little bit overwhelming. We place unrealistic expectations on ourselves that we have to be everywhere. Always present. Never sleeping. The reality is, we can’t do everything. 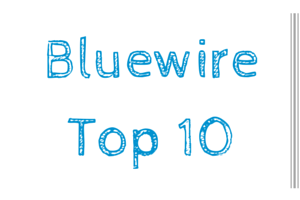 In this week’s Bluewire Top 10 I share resources that cover a lot of these mediums. From Instagram to blogging to podcasting. This is a guest post – Elizabeth Victor is Brand Advisor for Isentia. She enjoys sharing tips on media intelligence, social media analysis and PR measurement, particularly for companies doing businesses in Asia Pacific, including Singapore, China and Hong Kong. Build it. Drop in some content. Press play. This is how the web used to work. It was like any other one-way medium, including print, television and radio. A person would write something and others would read it. This is a guest post – Ann Smarty is the brand and community manager at Internet Marketing Ninjas and co-founder of Viral Content Buzz, the free platform helping your content reach social media influencers! If you want more shares, it’s time to get visual. And focussing on business growth. 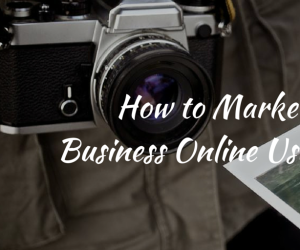 Traffic isn’t all about publishing new content… You can get creative. Blogging is only a waste of time if you’re doing it for the wrong reasons. Focus on how it can grow your business. It’s been another BIG week of content, learning and potential next actions. Remember to connect with the authors, share the content and take action.